The Lagos State Government has released N795 million in September to settle part of accrued pension rights of its retirees. The Lagos State Pension Commission (LASPEC) said on Sunday in Lagos that the gesture was in fulfilment of monthly pension settlement embarked on by Gov. 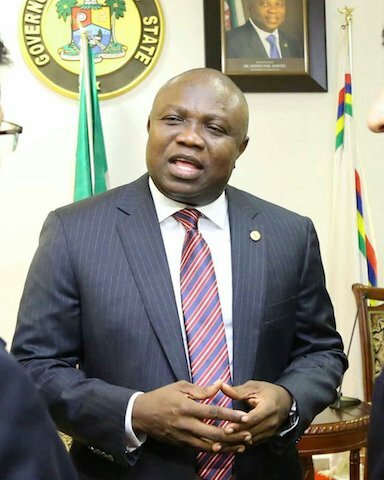 Akinwunmi Ambode. According to LASPEC, the fund was released for 213 Public Service Retirees under the Contributory Pension Scheme (CPS) in the state. The commission also confirmed that 9,804 retirees have had their accrued pension rights of N40, 245 billion paid. It said the N40, 245 billion had been paid into their Retirement Savings Accounts (RSA) from inception of the governor’s administration till date. “His Excellency has remained committed to pensioners’ welfare in spite the huge funding obligations facing the administration. “For this reason, funds are released monthly into the RSA of employees, and also the accrued rights are gradually been cleared,” LASPEC said in a statement by its Director-General, Mrs Folashade Onanuga. The commission also said the pensioners there was a move by the National Pension Commission (PenCom) to execute the Pension Law on guaranteed Minimum Pension for life. “The law will be executed for retirees under the Programmed Withdrawal benefit option as it will be recalled that the annuity option offers pension for life for the annuitants,” the statement said.